Sony says "thanks, but no thanks" to an invitation to testify before a U.S. Congressional hearing on "The Threat of Data Theft to American Consumers." PS3 owners aren't the only ones appalled by the disastrous security breach of the PlayStation Network. The PR nightmare that just won't stop has also attracted the undoubtedly unwelcome attention of several government agencies in the U.S., U.K., Canada and Australia. The U.S. House of Representatives Subcommittee on Commerce, Manufacturing and Trade actually sent a letter to Sony Chairman Kazuo Hirai last Friday, demanding answers to 13 "very particular questions" by the end of this week and inviting the company to appear before a Congressional hearing. "We've taken a pretty tough line with the company, and they have agreed to provide answers to all of our questions by close of business tomorrow," Ken Johnson, a senior adviser and spokesman for Subcommittee Chairwoman Representative Mary Bono Mack, told the New York Times. "While we understand the company is going through a tough time with this, there are certain questions that need answering." But while Sony said it will answer the Subcommittee's questions, it's going to take a pass on the invitation to appear. "Sony is cooperating with the request for answers to the Committee's questions, and in fact will be providing our responses in advance of the deadline," a Sony rep said. "We informed the committee that we could not appear as early as this Wednesday because of our ongoing intensive investigation and management of this criminal cyberattack." The hearing will "examine risks related to data breaches, the state of ongoing investigations, current industry data security practices, and available technology," matters which, not to put too fine a point on it, Sony has some rather extensive recent experience with. 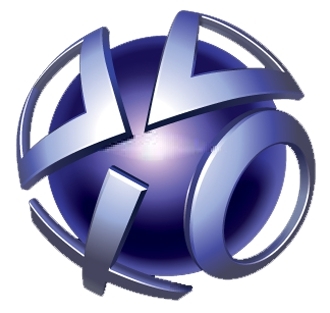 The PlayStation Network is still offline and earlier this week Sony Online Entertainment revealed that its security had been compromised as well.